I have had problems mixing bass. On my monitors it sounded fine but on lesser speakers it was too low. I did some research on Auratones and decided to have a go at making some, the results were much better than expected and they have solved the problem at minimum cost. Next I found a cheap Chinese speaker from Maplin in the UK which had a good matching response. This speaker is shielded like the Auratone and is the same size. They cost about £16 a pair which is about $25. I calculated the internal volume of the Auratones to be 2.23Litres and they a have a 1 inch lining of BAF on the walls. I used the wadding from an old duvet! Auratone dimensions are 6.5x6.5x5.5inches deep. I made them half an inch wider at the front but kept the internal volume the same, using 0.5 inch chipboard/particle board, with 20mm corner bracing. Just for fun I made them look old with some varnish and stuck a label on them! These speakers have helped me solve the bass problem and sound much better than expected. No real bass below 100Hz or top end above 10K but really useful nevertheless. 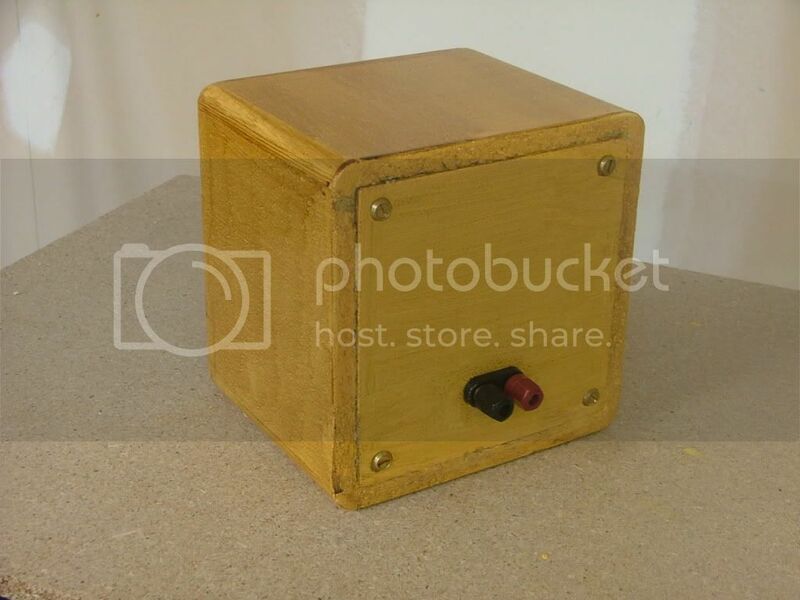 This forum is all about DIY and there are better cheaper ways than being an Ebay slave. Nice one congrats, and thanks for sharing. Nicely done, Dave! Inspirational, as always. As they say, "necessity is the mother of invention". If you gradually up the frequency of a shelving bass boost so it sounds right on these, it also sounds right on the bigger monitors only deeper. do you know any source for the loudspeaker you have used, outside of the UK? Maplin unfortunately does not offer shipping outside of the UK and they also have no distributors here in Germany. +1 and maybe some pictures inside the cap... What amp is driving them? What do you mean when you say that the speaker is shielded same as the Auratones? Is there a anti-magnet glued on the back like modern Auratones? I don't know where else you could get them other than doing an internet search using the part number, it does surprise me that Maplin don't ship overseas, very short-sighted of them. There is nothing to see inside the cabinets really, especially as the walls are covered in fibre. The construction is simple, the panels are glued and pinned to 20mm section softwood without butting the corners (corners are filled using quadrant section). There is no internal amp, they are driven from a 25W/channel sony hifi amp. The original Auratones had these too, I understand, so that they can be put next to a TV or monitor without the magnetic field from the magnets distorting the screen image. I'm really tempted to try it but for some reason I'm 'afraid' of the woodwork. handsaw, pin hammer, pin punch (old screw will do) pencil, setsquare, old knife for filler, wood rasp or file. sandpaper coarse and medium. paintbrush. woodprimer, paint, varnish containing stain. I could not find the loudspeaker anywhere else. But probably I can find a silmilar type here in Germany. No, I looked as well, nothing. Monacor or Visaton are probably your best suggestion, you have the Thiele Small info for the speaker so go for the best match to that. It has to be a type that can cope with being in small box of 2.3l volume. You can download WinISD to check the performance. Hey Dave, thanks for sharing this simple and nice idea by the way! One question, the original cabinets were made with chipboard from what I read. I used chipboard because of the original so it might have similar resonance, but the panels are so small it may not matter anyway. I joined it all together with glue and panel pins, but I drilled the wood or board the pins pass through first (not the lower part the pins bite into), punch just below surface then fill. To DIY or not to DIY, (mic preamp), that´s the question..
Auratone equiv. > AKG LSM50 ...replacement drivers argh..
Not audio DIY, but still electronic DIY. 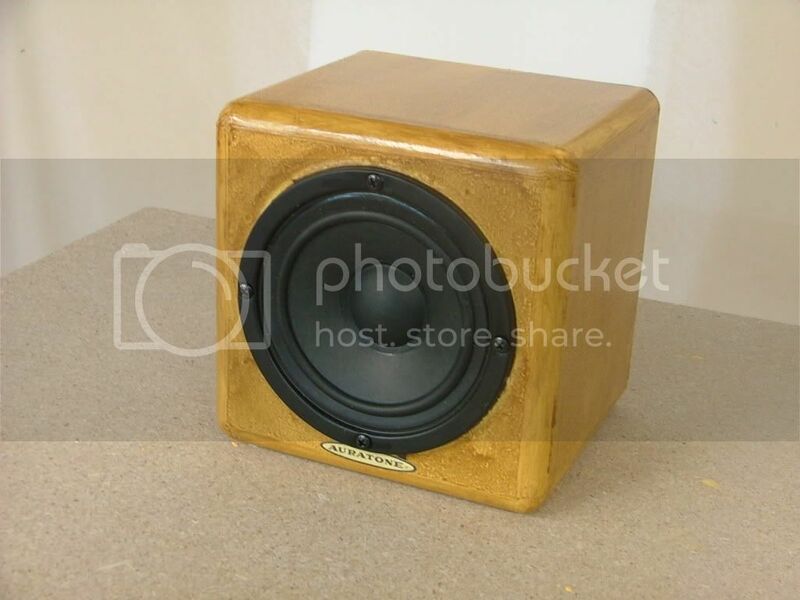 How Cool is that: Dave P's Auratone project made the Sound on Sound!